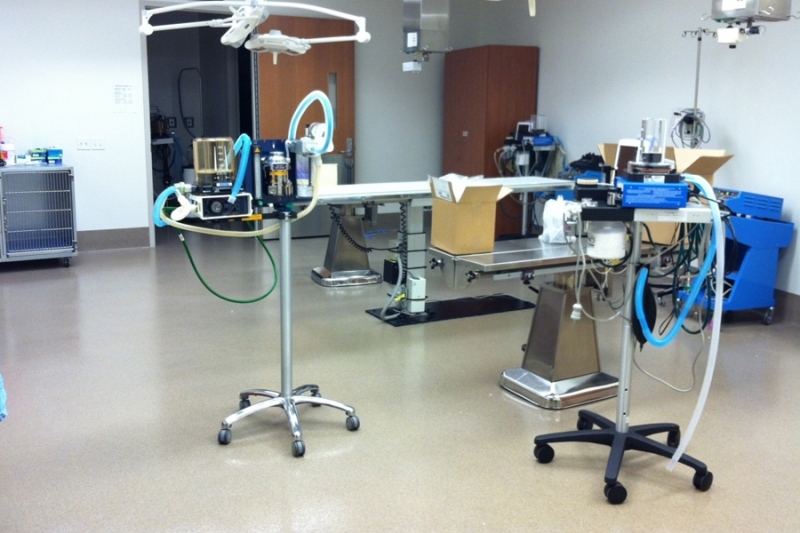 Prime Coat Coating Systems understands the significant impact performance and flooring design has in healthcare environments. 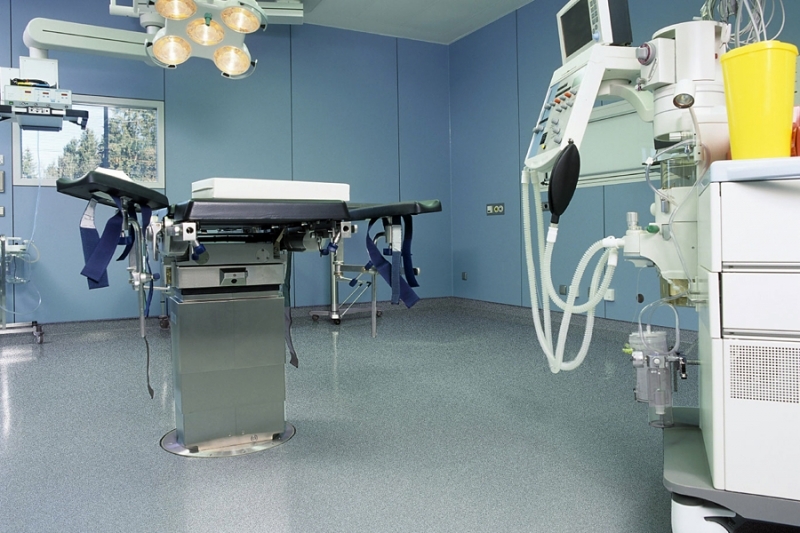 In coordination with evidence-based design (EBD) research, we specialize in urethane elastomeric floor systems to meet the safety, anti-fatigue, noise control and environmental requirements deemed necessary by today’s healthcare standards. 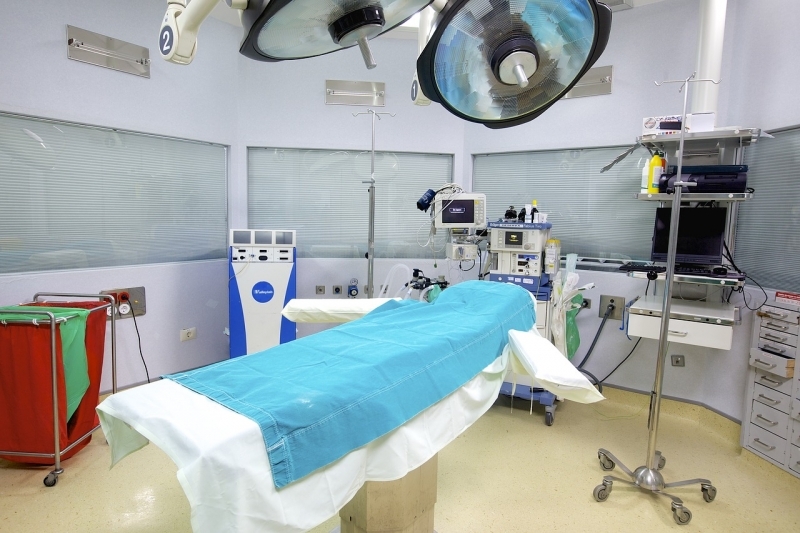 Our anti-microbial system not only helps control Hospital-Acquired Infections (HAI) but in conjunction with our PC Pathocide sealer, guards against pathogens while remaining stain resistant. 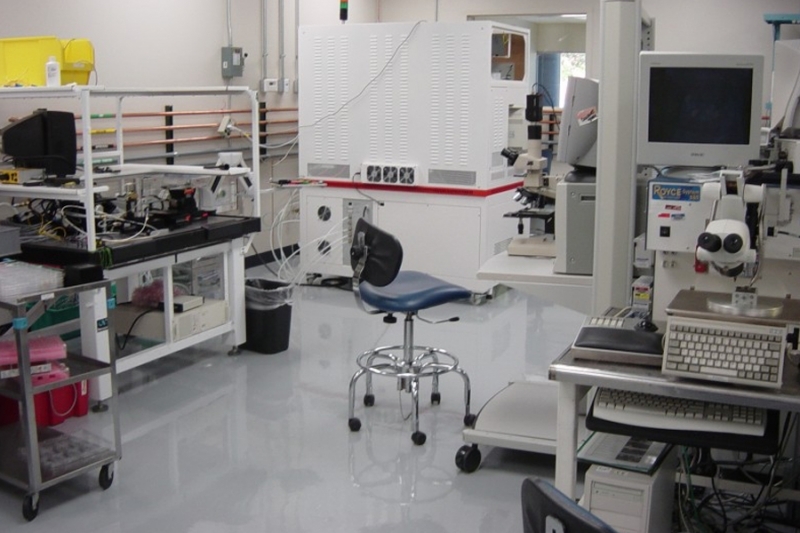 We also manufacture and install our patented epoxy mortar floor seamless systems for research facilities requiring uppermost bacteria-free and sanitary environments. Where EBD research suggests advantages to healthcare facilities which promote stress-free environments and a positive approach to healing, Prime Coat Coating Systems manufactures and installs industrial strength, yet decorative broadcast wall systems with polyaspartic topcoats. 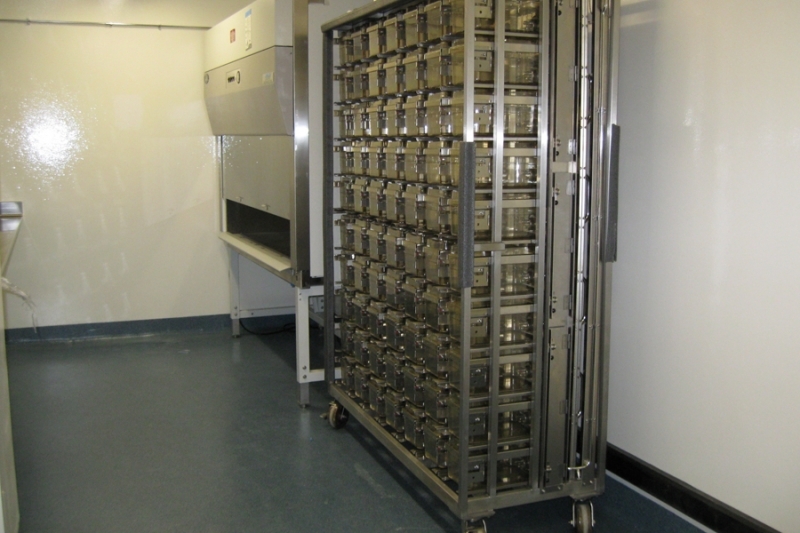 Our proven systems deliver the durability, risk reduction, and positive environmental quality commanded by the healthcare industry. 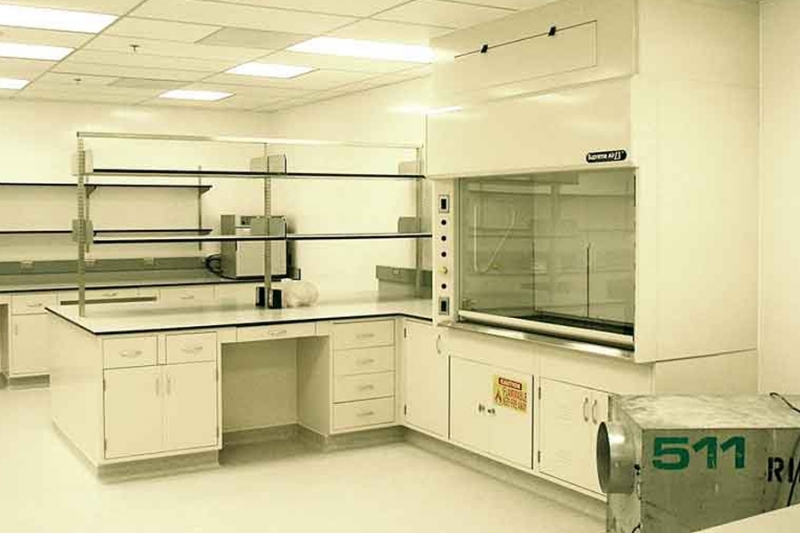 • Durability – Our systems are designed for impact resistance, heavy traffic, and repeated cleaning and sanitizing. 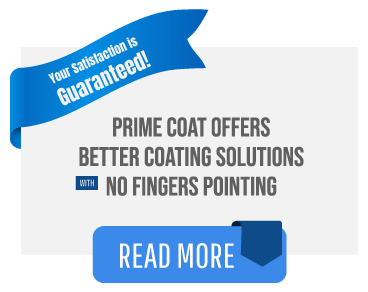 • Safety – All of our systems are seamless and pinhole free with optional anti-microbial properties. 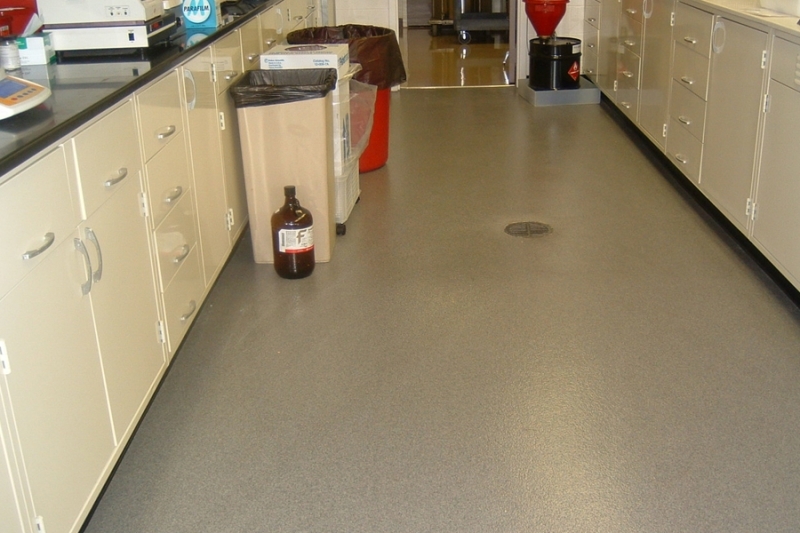 • Low Maintenance – Our systems prevent staining and damage from medically used chemicals, are easy to clean, never need waxing and lower your overhead costs. • Aesthetic Properties – The beauty of our systems are geared to meet the visual and anti-fatigue aspects for patients, caregivers and research professionals for a positive and stress-free environment.